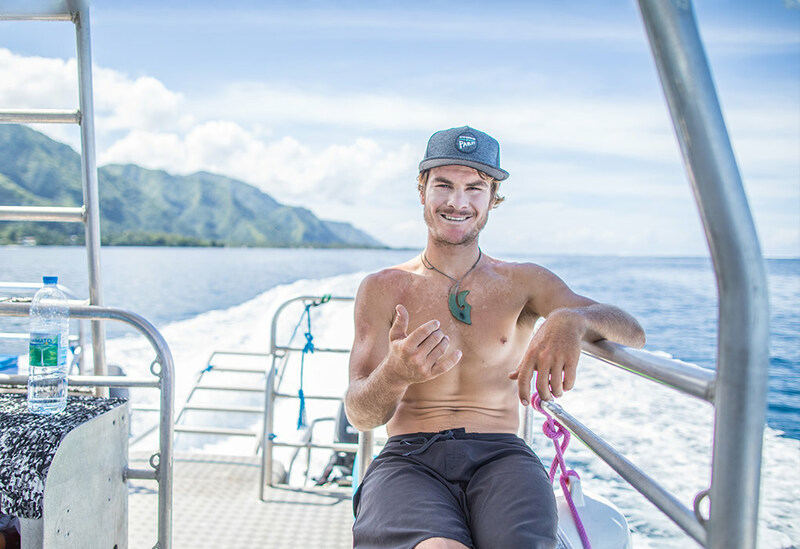 The new Foil Surf range was created and developed based on Clinton Filen’s extensive kitesurfing and surfing experience in Cape Town, South Africa. All the testing was performed with the support of Zane Schweitzer and the fine tuning technologies were then finalised in cooperation with the SUP team in Bangkok. All boards have been tested with both AK and Starboard foils, varying the wing sizes and shape as well as different mast heights. This allowed us to see how the boards performed with different foils and surf conditions. 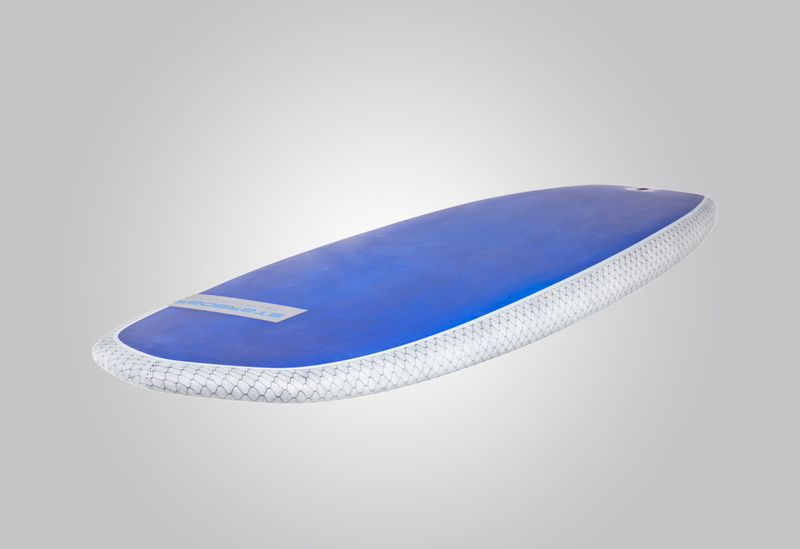 provides volume / buoyancy to ride a short board and makes it easier to paddle and catch waves. The thick tail provides extra strength against the force of the foil. The wide nose makes it easier to paddle into waves as you can press down with your chest to get ahead of the wave. When up and flying, the wide nose reduces pitching and bounces back when touching down, making it more forgiving for prolonged foiling experience. The tail’s width gives the rider more control and stability over the board when turning. The straight parallel rails makes it comfortable to paddle. The rocker is relatively flat throughout, with moderate nose rocker to avoid pitching and catching on touch downs. The slight tail kick to helps to pop up the board to get up and riding. 2 x 10” US boxes for mounting a top plate foil mast and provides flexibility to adjust the foil position based on rider preference, skill level and wave conditions. Starboard’s lightweight US box is 140g lighter than market standard boxes. The foil box is positioned slightly further forwards as the boards get longer to accommodate balancing the extra swing weight. AK Tail pad with corduroy texture provides a solid grip that is not abrasive. Length: 6’0“ / 183 cm. Suited for smaller less steep waves and for heaver or less experienced riders. Suited for riders up to 95kg. Length: 5’6“ / 168 cm. 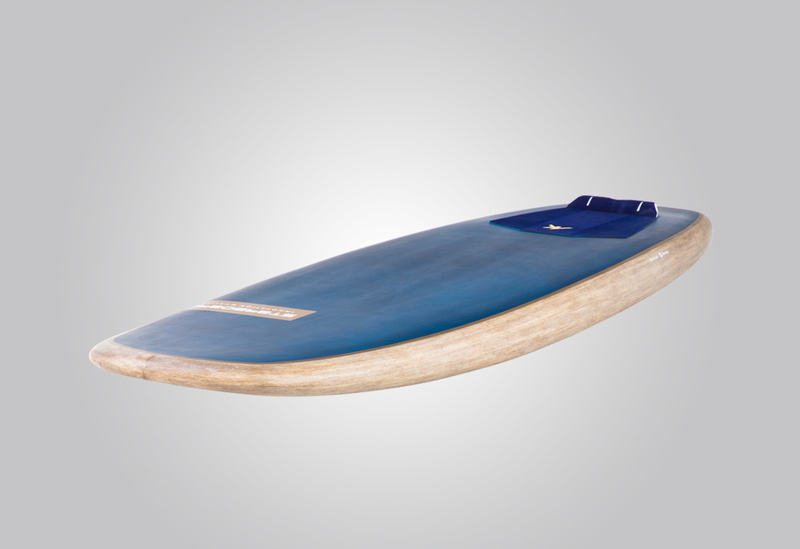 Versatile board, fast paddle speed yet still stable. Suited for riders up to 85kg. Length: 5’2“ / 157 cm. Width: 20.25“ / 51 cm. More responsive and easier to maneuver in all types of conditions. Suited for riders up to 75kg. Length: 4’8“ / 142 cm. Width: 19.25“ / 49 cm. Lowest volume option for lightweight and high skilled riders – Zane Schweitzer’s board of choice. Suited for riders up to 65kg. With the Starboard Surfboard I can get the closest feeling to flying with precise control and fluid maneuverability. Having the freedom to wrap smooth turns hands-free with minimal board under your feet really enhances the feeling of balanced flight we should feel riding a Hydrofoil.